When you click on the “Moment of Inertia” button, you are presented with 10 standard shapes to choose from. 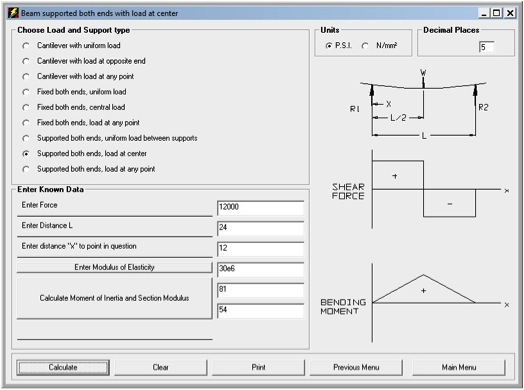 This is the planar geometric shape of the piece that you are analyzing, at 90 degrees to the direction being analyzed in the beam deflection calculation. The Moment of Inertia and Section Modulus are automatically sent to the proper text boxes. 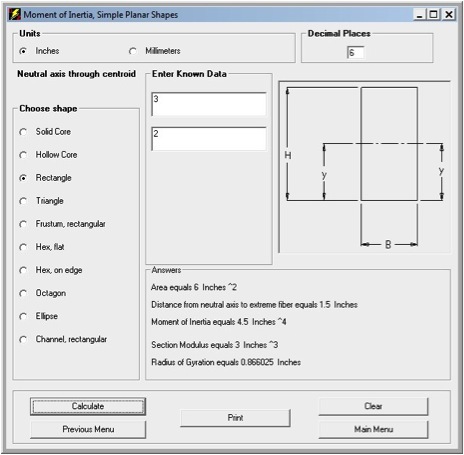 The modulus of elasticity, MOE, can either be entered, or chosen from a list box. 30,000,000 psi, the MOE of steel for example, can be entered as 30e6. 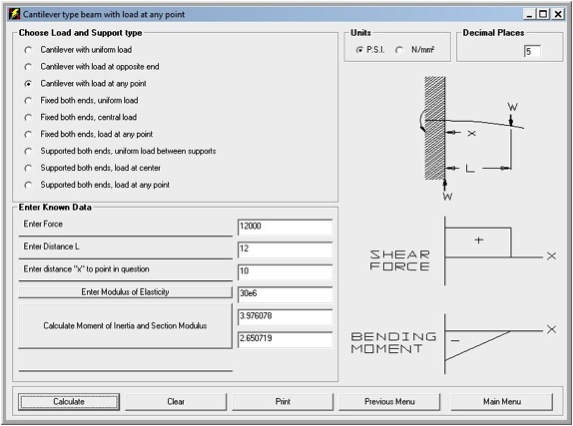 The answers for beam deflection calculations are displayed on a separate page for neater and easier display. 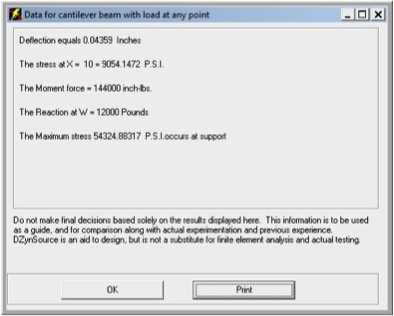 The answers for beam deflection calculations are displayed on a separate page for neater and easier display.